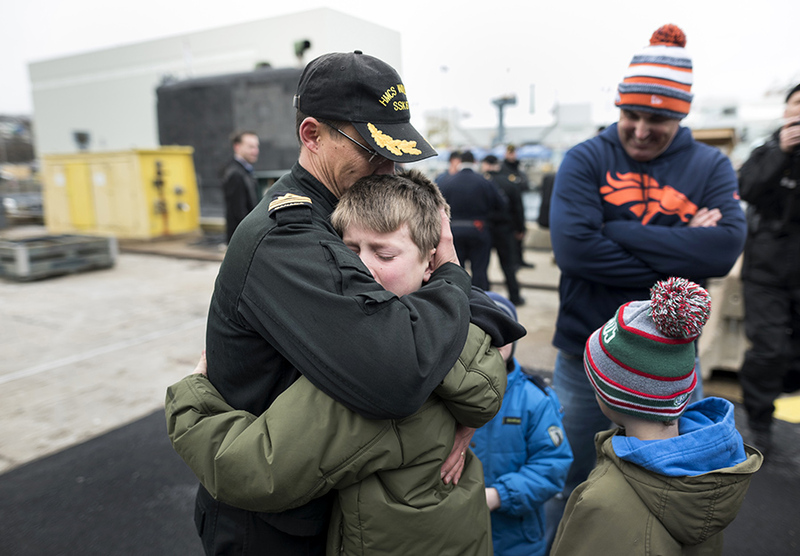 Lieutenant Commander Peter Chu, left, commanding officer of HMCS Windsor, is emotional while being greeted by his son Izaiah, 12, during the crew’s homecoming in Halifax, NS on Thursday, December 17, 2015. The HMCS Windsor, which deployed in early fall, returned home from their multi-national exercises in Western European waters – for The Canadian Press. 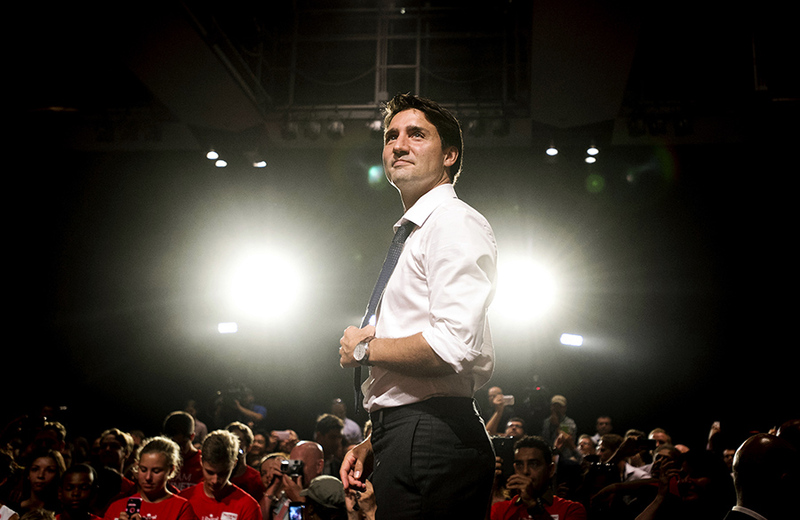 Federal Liberal Leader Justin Trudeau speaks to supporters during a campaign stop in Toronto on Monday, August 17, 2015 – for The Canadian Press. 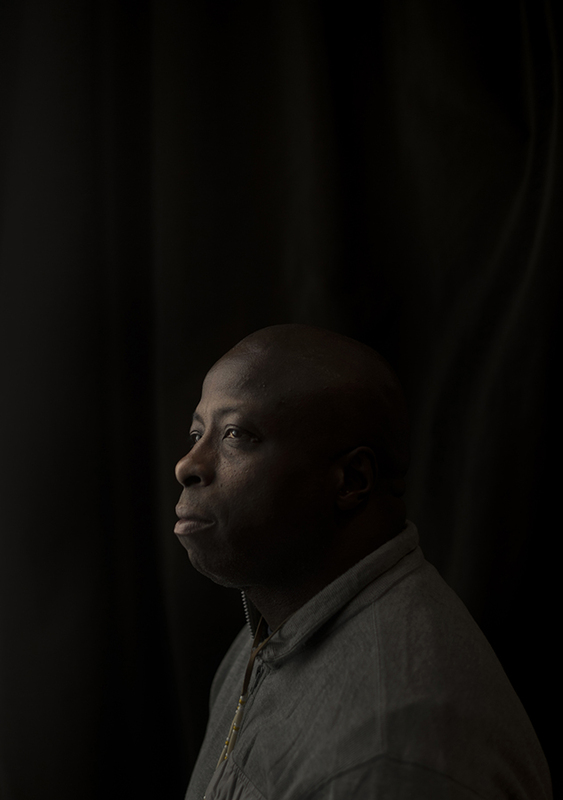 David McCallum, who spent 29 years in prison before being ordered free once prosecutors concluded he falsely confessed as a 16-year-old, poses in Toronto on Wednesday, March 18, 2015 – for The Globe and Mail. 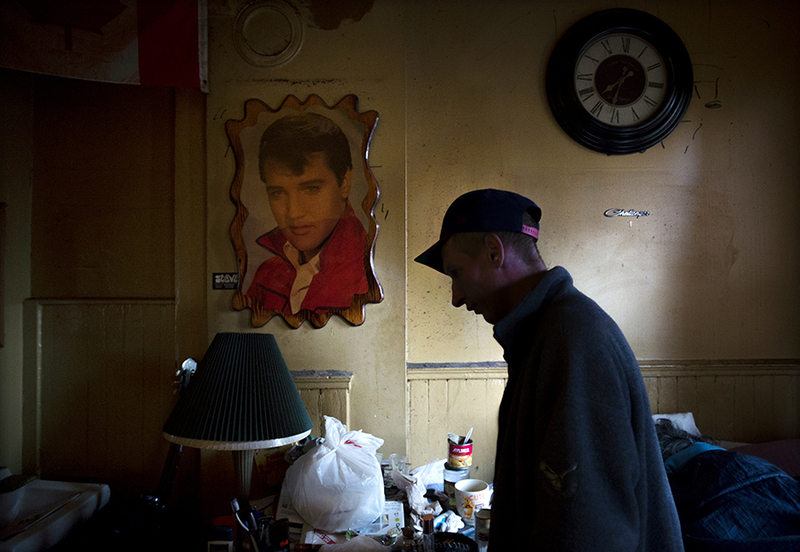 A 5-year resident of The Palace Arms, who did not want to be identified, is silhouetted while in his room at the rooming house in Toronto on Sunday, April 12, 2015 – for The Globe and Mail. 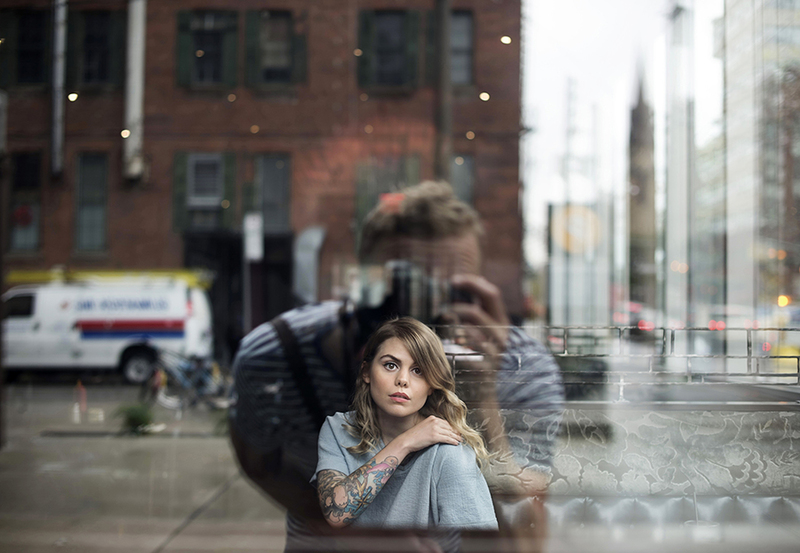 Singer-songwriter Beatrice Martin, of Coeur de Pirate, is seen through a reflection in a window while posing in Toronto on Thursday, August 20, 2015 – for The Canadian Press. A centuries-old tradition during the holidays in Newfoundland and Labrador, mummering is on a resurgence with the help of cultural heritage activists. 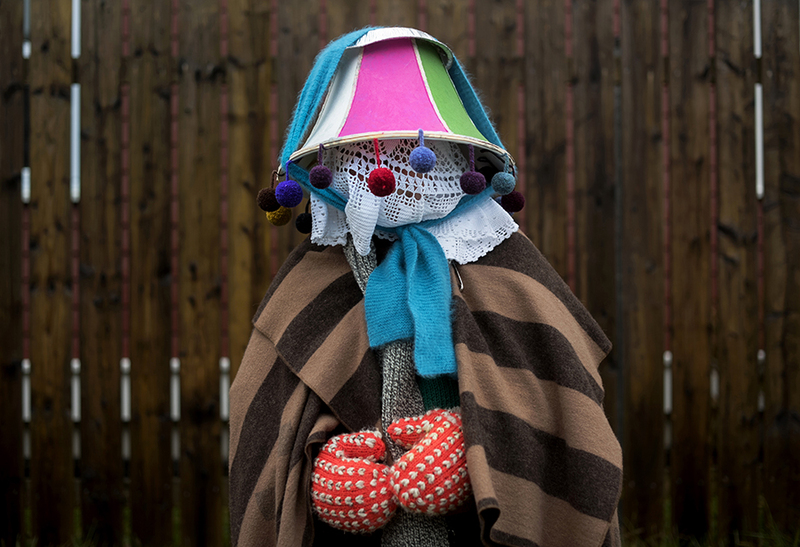 Simply, mummering involves friends and family getting “rigged up” in costume, using anything they can scavenge in their home to disguise their identity or gender – curtains, lampshades, old clothing – before going unannounced to neighbours’ homes for impromptu kitchen parties with music and drink. 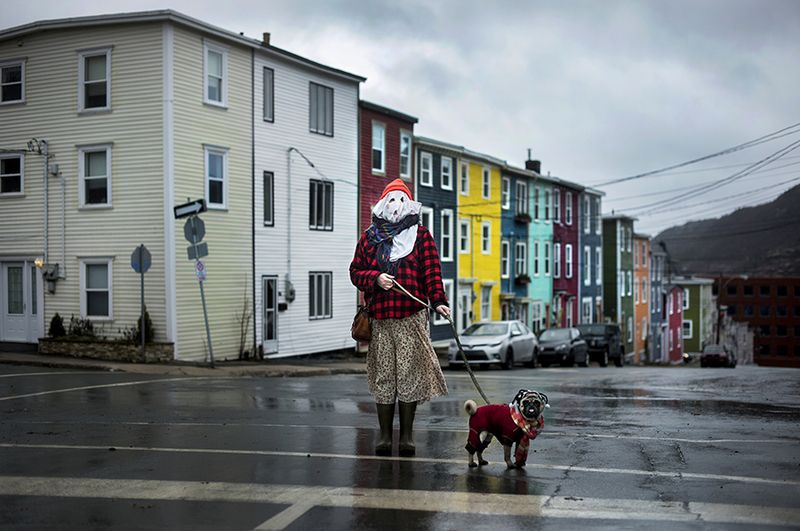 Here, Sarah Ferguson and her dog Frank pose in St. John’s, NL on Saturday, December 19, 2015. 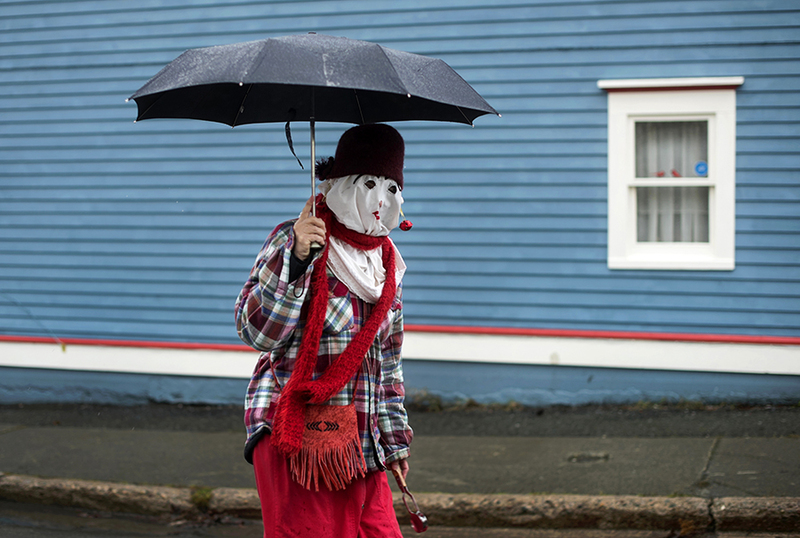 A participant in the Mummer’s Parade in St. John’s, NL on Saturday, December 19, 2015. Christine Legrow poses in St. John’s, NL on Saturday, December 19, 2015. 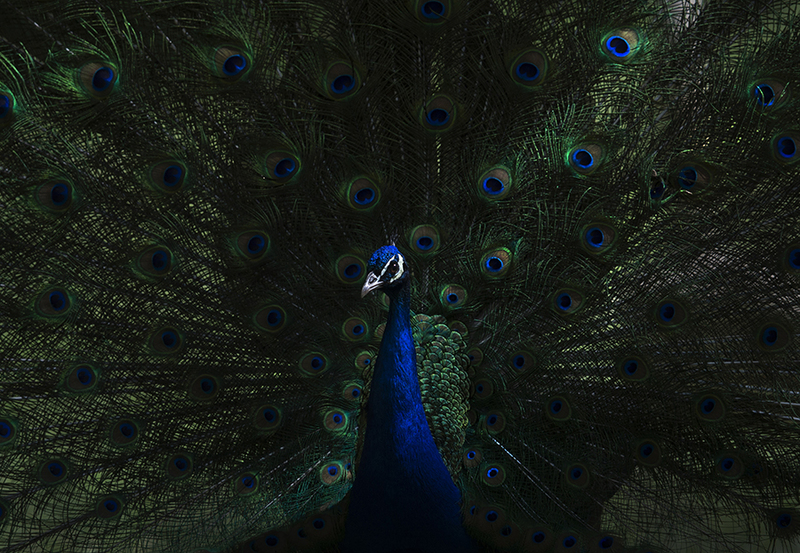 The peacock spotted on the rooftops of Toronto homes returned to its pen at the High Park Zoo in Toronto on Wednesday morning, June 3, 2015 – for The Globe and Mail. 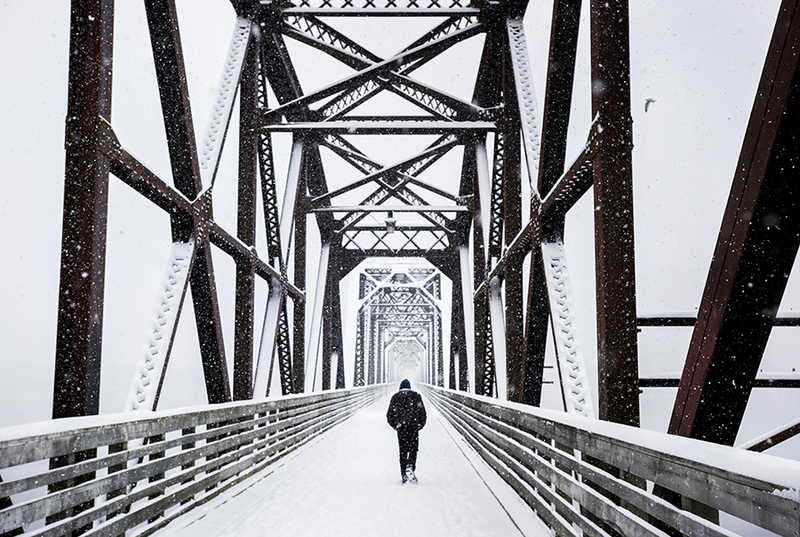 A man walks across a refurbished train bridge during a snow storm in Fredericton, NB on Sunday, December 27, 2015 – for The Canadian Press. 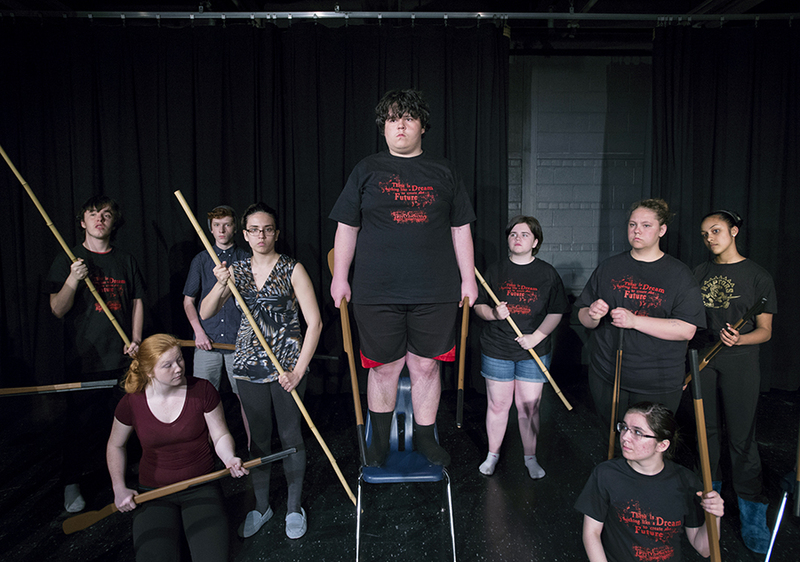 Nick Latincic, centre, uses a chair as a substitute for the top of the barricades as the cast waits for direction during rehearsals at Lakeshore Collegiate Institute in Toronto on Tuesday, May 5, 2015 – for The Globe and Mail. 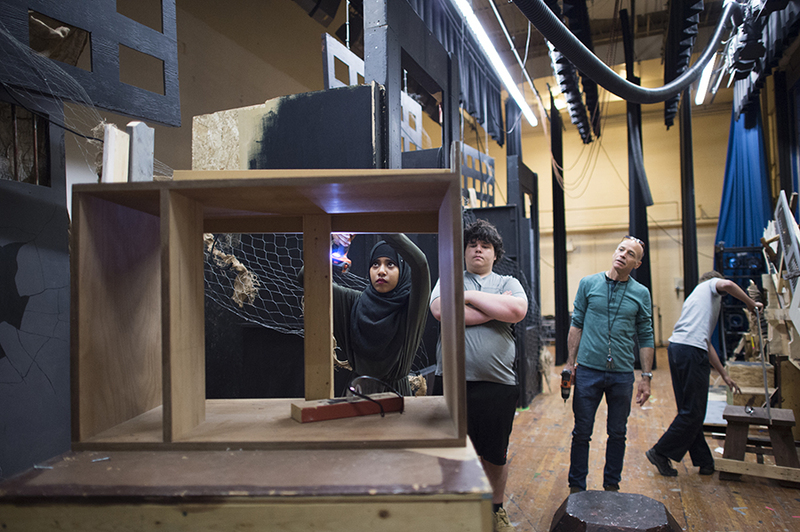 Lamisa, left, drills support pieces into the set with fellow student Nick Latincic, centre, and set construction teacher Timothy O’Hare at Lakeshore Collegiate Institute in Toronto on Thursday, May 14, 2015 – The Globe and Mail. 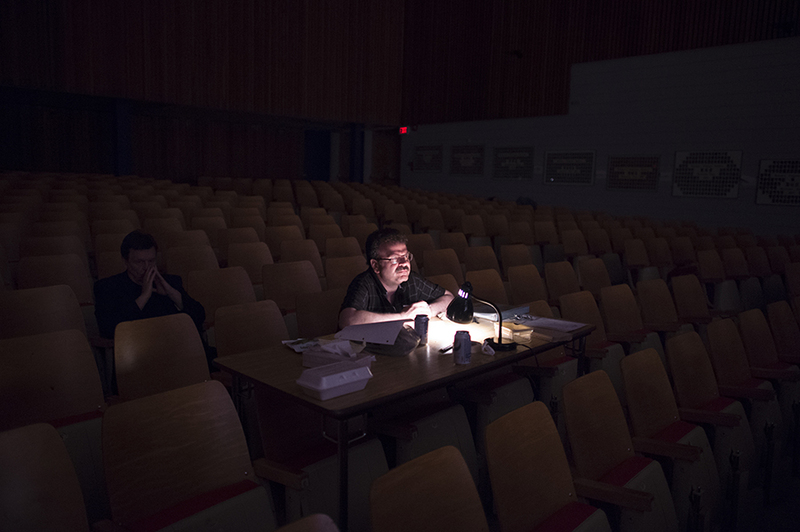 Dramatic arts teacher Greg Danakas watches the first dress rehearsal at Lakeshore Collegiate Institute in Toronto on Tuesday, May 19, 2015 – The Globe and Mail. 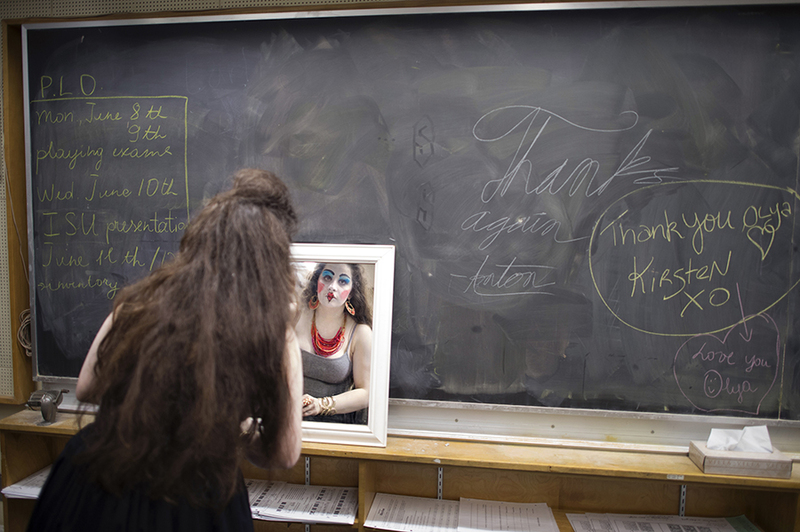 Samantha Dodds does one last check in the mirror before walking on stage on opening night at Lakeshore Collegiate Institute in Toronto on Wednesday, May 27, 2015 – The Globe and Mail. The crowd at Lakeshore Collegiate Institute in Toronto on Wednesday, May 27, 2015 – for The Globe and Mail. 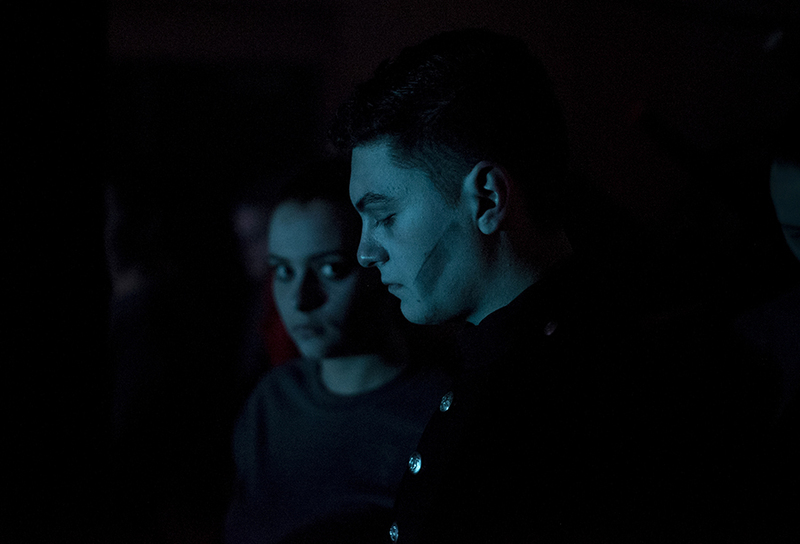 Gabriel Valencia, right, and Hilliary Lyn wait behind the stage before the first scene on opening night at Lakeshore Collegiate Institute in Toronto on Wednesday, May 27, 2015 – The Globe and Mail. 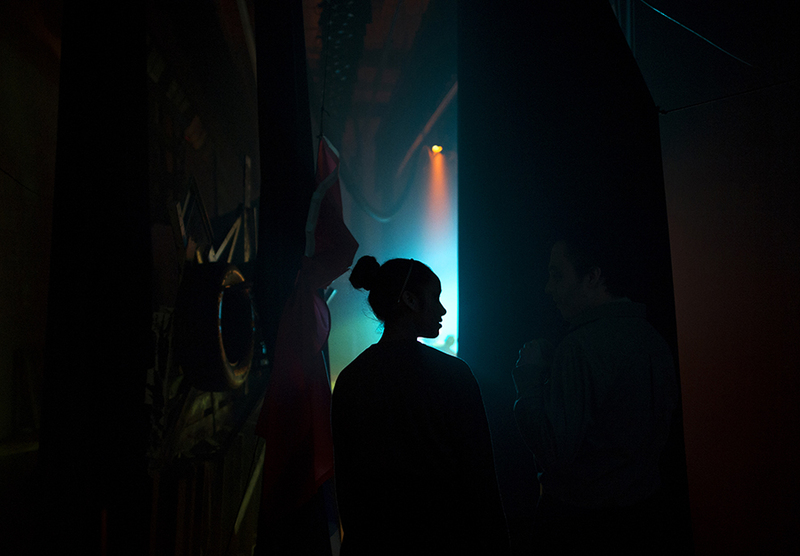 Reiana Ramdeen is silhouetted behind the stage while waiting for her cue on opening night at Lakeshore Collegiate Institute in Toronto on Wednesday, May 27, 2015 – The Globe and Mail. 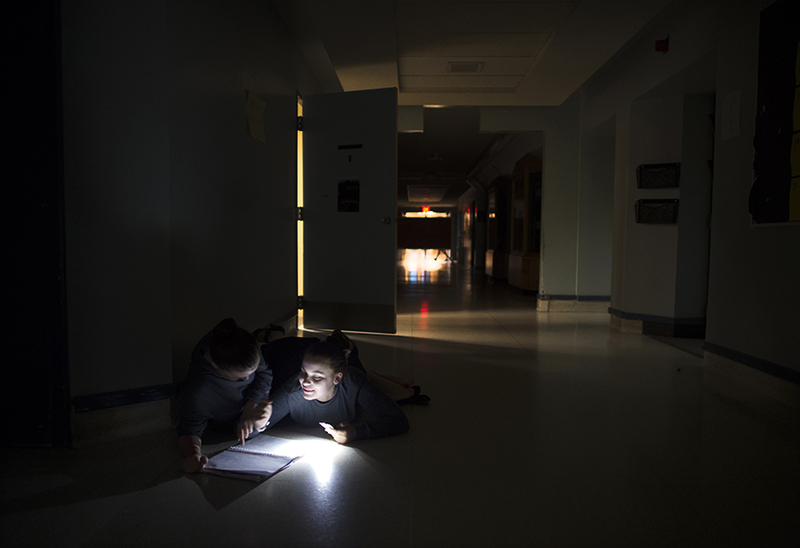 Hilliary Lyn, right, writes her graduating speech with Faye Schatz in the hallway between scenes on closing night at Lakeshore Collegiate Institute in Toronto on Friday, May 29, 2015 – for The Globe and Mail. 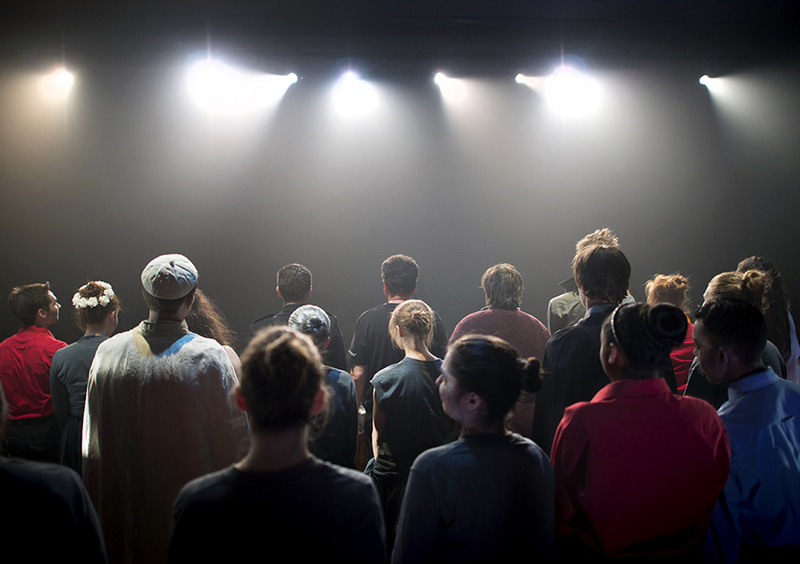 The cast stands together on stage for their curtain call on closing night at Lakeshore Collegiate Institute in Toronto on Friday, May 29, 2015 – for The Globe and Mail. 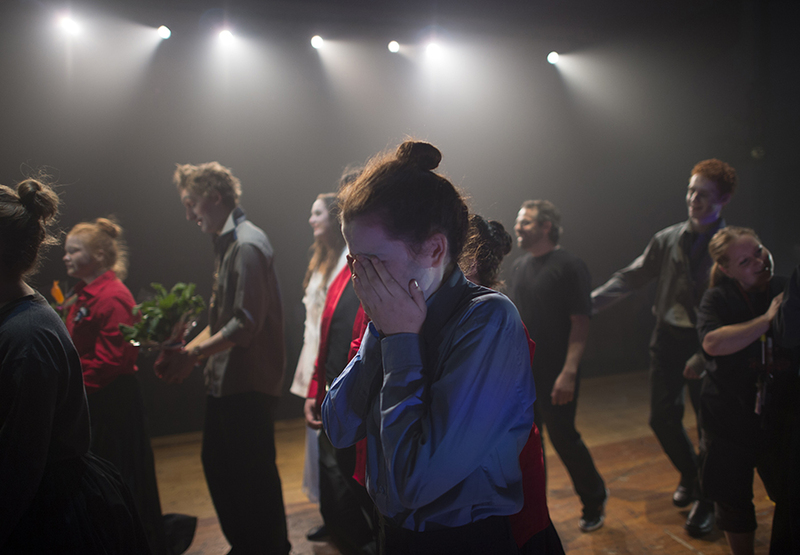 Ember Cope cries while walking off stage with the cast on closing night at Lakeshore Collegiate Institute in Toronto on Friday, May 29, 2015 – for The Globe and Mail. An emotional Gabriel Valencia receives a kiss from his father Antonio following the performance on closing night at Lakeshore Collegiate Institute in Toronto on Friday, May 29, 2015 – for The Globe and Mail. Tissue gathers on the laps of the cast while listening to the emotional speeches by graduating students at the cast party in the basement of the Alderwood United Church in Toronto on Friday, May 29, 2015 – for The Globe and Mail. 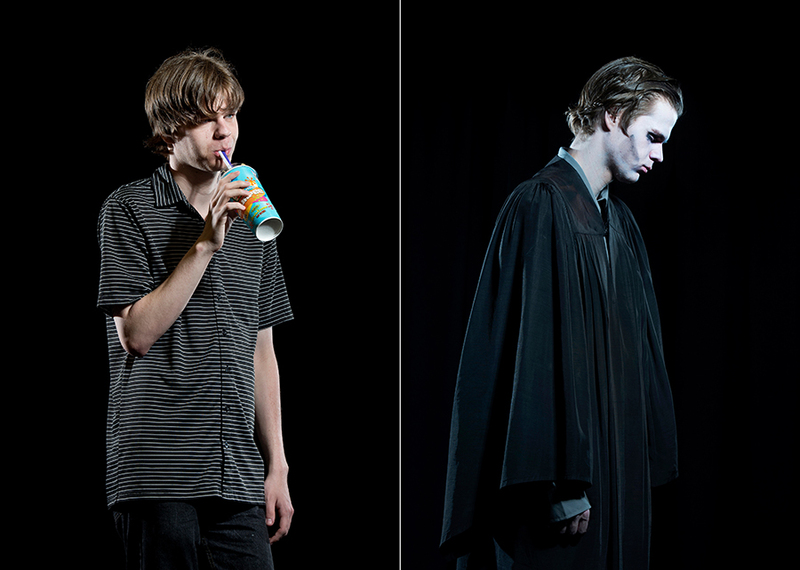 A combo portrait of student Cory Wagar, Grade 12, and in character as The Judge at the school in Toronto – for The Globe and Mail. 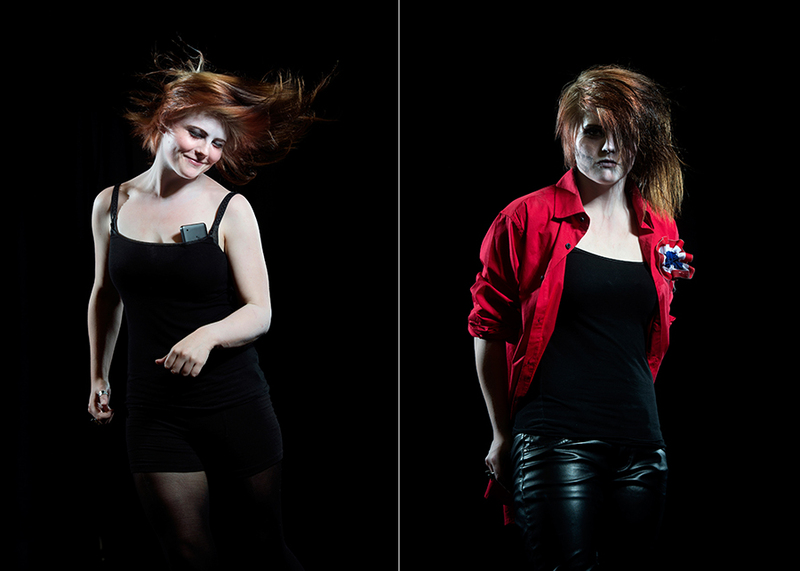 A combination portrait of student Jenna Searon, Grade 12, and in character as Adele at the school in Toronto – for The Globe and Mail. 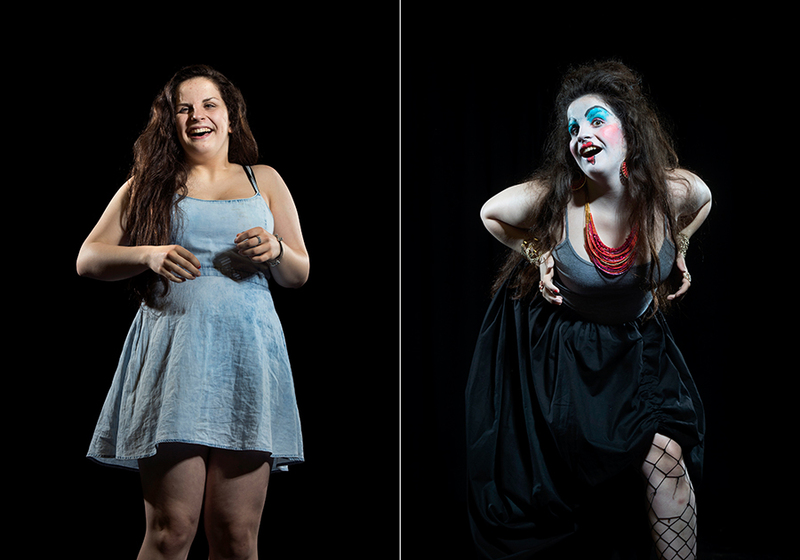 A combination portrait of student Samantha Dodds, Grade 11, and in character as Madame Thenardier at the school in Toronto – for The Globe and Mail. Melissa Bishop, national record-holder and the 2015 World Athletics Championship silver medalist in the women’s 800m, poses in Eaganville, ON on September 25, 2015 – for iRun Magazine. Erika Lang, of USA, cries in the water after falling on her first run in women’s tricks waterski at the 2015 Pan Am Games in Toronto on Thursday, July 23, 2015. Lang went on to win the bronze medal in the event – for The Canadian Press. Dalla Grau of Cuba, left, fights for the ball with Marina Aranha Zablith during the women’s water polo bronze medal match at the 2015 Pan Am Games in Markham, Ont. on Tuesday, July 14, 2015 – for The Canadian Press. 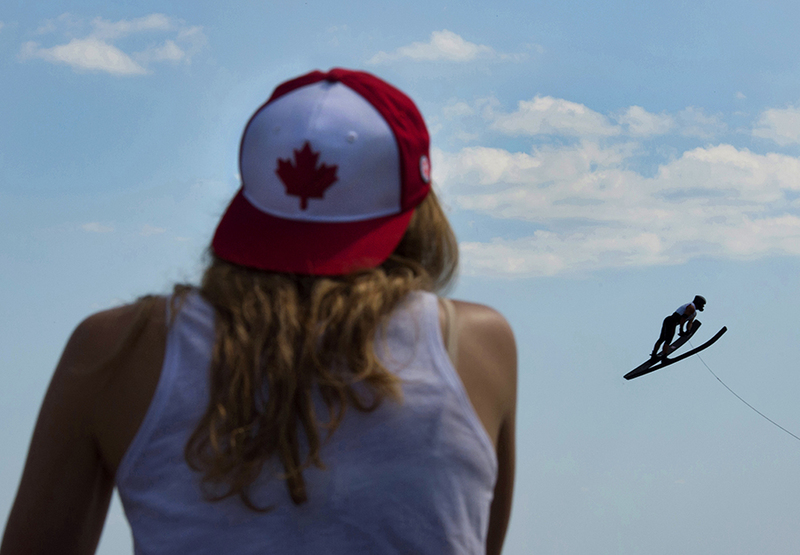 Ryan Dodd, right, of Canada, jumps his way to winning the gold medal in men’s jump waterski at the 2015 Pan Am Games in Toronto on Thursday, July 23, 2015 – for The Canadian Press. 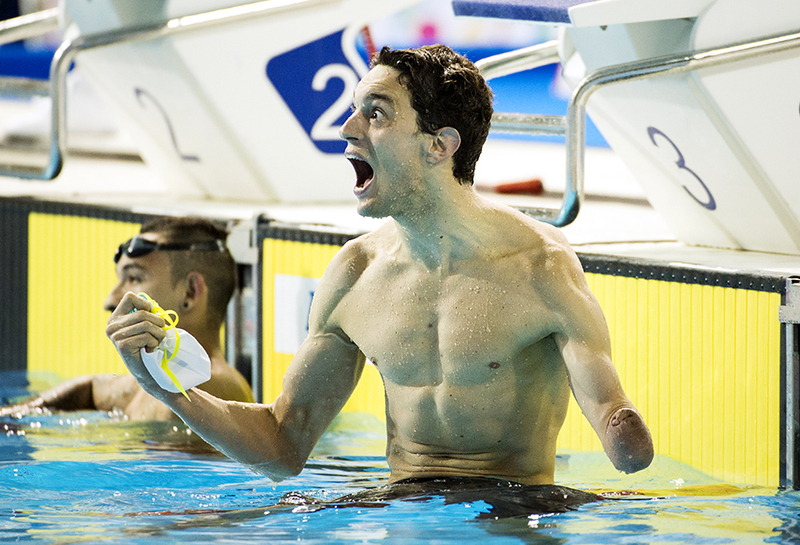 Facundo Lazo, right, of Argentina, celebrates winning the gold medal in front of silver medalist Armando Andrade, of Mexico, during the men’s 100m breaststroke SB8 final at the Parapan Am Games in Toronto on Tuesday, August 11, 2015 – for The Canadian Press. 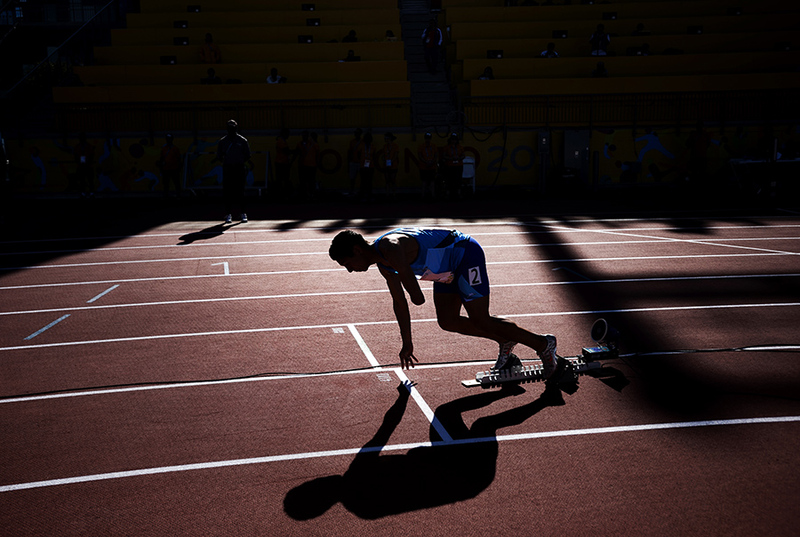 Braian Villarreal, of Argentina, is silhouetted leaving the blocks at the start of the men’s 400m T47 final at the Parapan Am Games in Toronto on Wednesday, August 12, 2015 – for The Canadian Press. 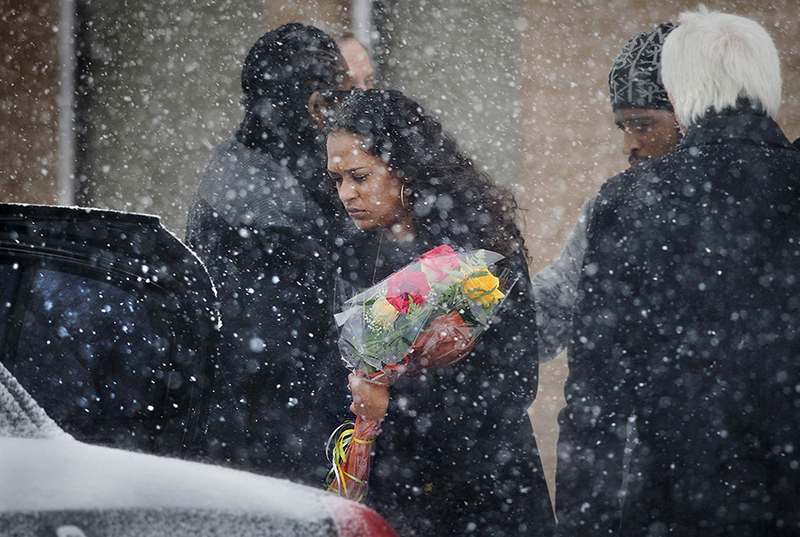 National Para-Swim Team member Katarina Roxon in Toronto on March 23, 2015 – for Swim Canada. National Para-Swim Team member Nicolas-Guy Turbide in Toronto on March 23, 2015 – for Swim Canada. 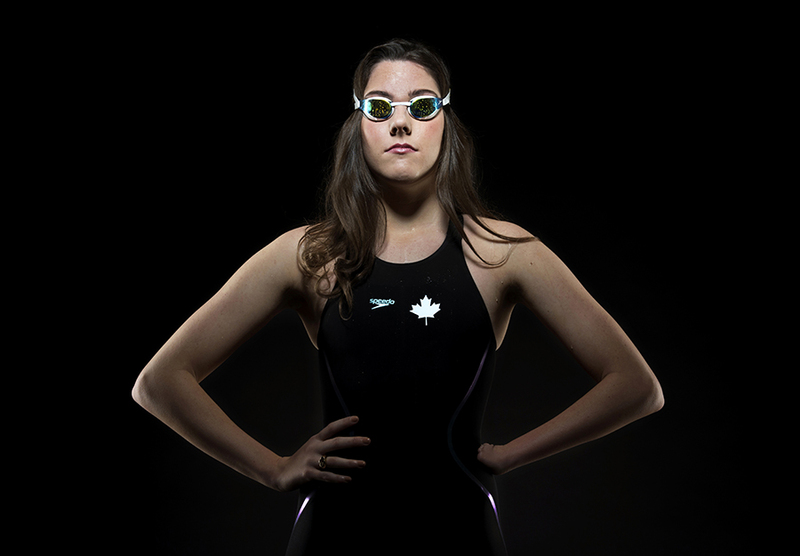 National Para-Swim Team member Aurelie Rivard in Toronto on March 23, 2015 – for Swim Canada. 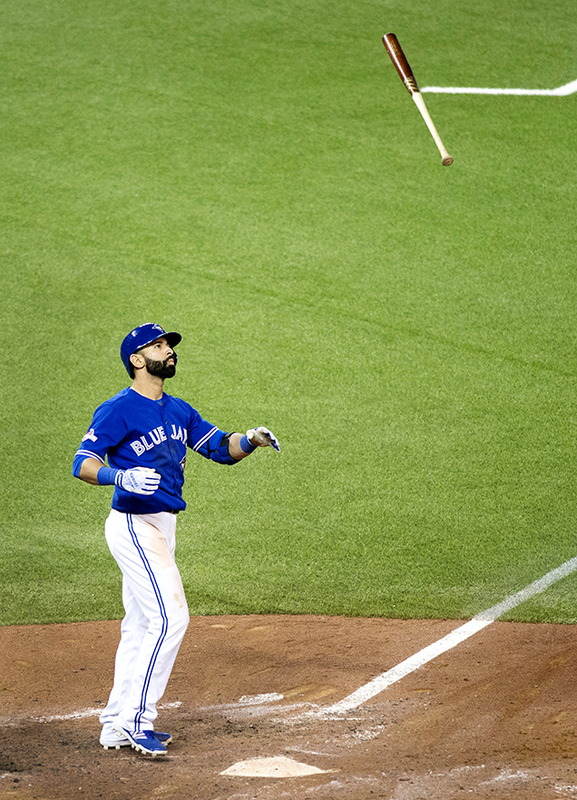 Toronto Blue Jays’ Jose Bautista flips his bat in the air while celebrating a three-run home run during seventh inning game five American League Division Series baseball action against the Texas Rangers in Toronto on Wednesday, October 14, 2015 – for The Canadian Press. 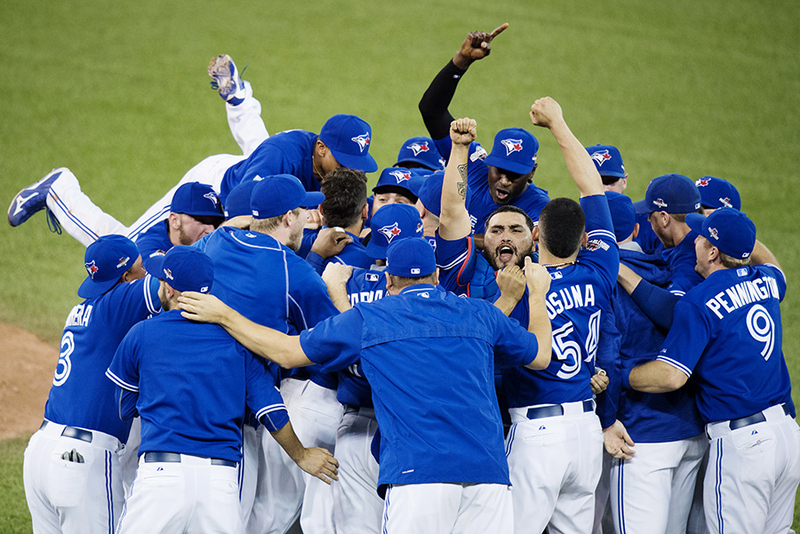 Members of the Toronto Blue Jays celebrate their series win over the Texas Rangers during game five American League Division Series baseball action in Toronto on Wednesday, October 14, 2015 – for The Canadian Press.